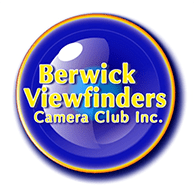 Berwick Viewfinders Camera Club Inc. BackChat Entry - Berwick Viewfinders Camera Club Inc. This page allows members of BVCC to communicate with each other. You must be registered to be able to use this facility. There is only one forum called BackChat. The forum is called BackChat. Inside the forum are topics. Inside the topics are posts. The main topic is BVCC Main Area. Posts you want all members to see should be placed here. Look here for posts of which other members want you to be aware. BVCC will place official posts here. Click on the blue BackChat to continue.